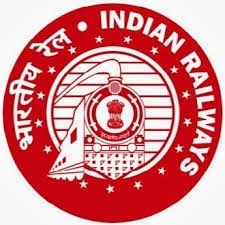 Indian railway published the recruitment Notification for the recruitment of the posts of Ancillary Staff in RPF / RPSF. Constable pots. Employment notice Number 01/2013 has been published in employment News/ Rozgar samchar of 21- 27 December 2013. There are total no of vacancies are 659 for various categories for various trades. Eligibility Criteria: Education Qualification: matriculation or its equivalent. Written exam question paper pattern: written exam will be comprise will be comprise 120 multiple choice question. All questions will be objective type of nature. Total time duration will be 90 minutes will be given for attempting the 120 question. Question paper difficulty will be high school level. the question paper will be 35 question on general intelligence and reasoning, 35 question on arithmetic and 50 question on general awareness . How to Apply: interested candidates are required to pay application form in prescribed application form format. Application form fee will be rs 40 only and it will be payable in form of crossed Indian postal order.